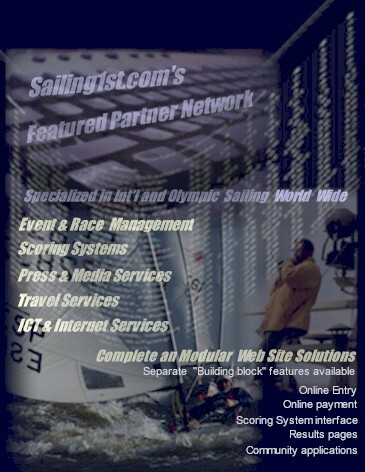 Sailing1st.com is initiator and leader of the Network. The Sailing1st.com community portal takes the function of a knowledge base, while Sailing1st.com as company provides mostly web based communication tools and project management services. Experienced in major events, SMI provides all event & race organizing and processing services. This includes consulting, attending, promotion and fundraising. Donker is specialized in community related activities that may be critical in the race for gaining sponsorships and to make a definition and for fill specific needs to all parties of interest. AvK Photography is one of best known press photographers in the Netherlands with references of magazines all over the World. Diana Bogaards has a large track record of reporting major events such as Spa Regatta Round of Texel, ISAF Worlds 2003, Aruba Heineken regatta etc. With references of major Olympic Classes, ZW is a reliable scoring system that has been instantly developped for years in windows and DOS environment.